Whose job is it to change the world? Okay, that’s a big question, so let’s start off with a (somewhat) simpler one: Is admitting that you have a problem, truly the first step to recovery? There’s a new trend in conversations about race, diversity and privilege in America. More and more, you’ll see and hear people “checking” their privilege at the start of such conversations. Now that everyone is talking about the fact that Hollywood has a diversity problem, and America has a race problem (problems that intersect with gender and class, among other factors), there seems to now be a general rule in place that you have to acknowledge these problems and your own privilege in the face of them. The good news is that you don’t have to do much else beyond that. In other words, merely acknowledging the issue of diversity as a real thing that exists—and then doing little else beyond that—has somehow become enough. I was reminded of this new trend when I read the introduction to The Hollywood Reporter’s annual Top 100 list, written by Janice Min. And lastly, yes, we know that a lot of this list is white guys. We won’t need social media, thanks anyway, to drop an anvil on our heads to realize this. Out of the 124 names on the list (due to some shared groupings), there are only 19 women and 10 people of color (six African-Americans, two Asians, two Latinos). I’d like to think we cover the issues of gender and diversity that plague Hollywood with a critical eye and will continue to. And I hope and expect that one day in the near future this list has a wholly improved and reflective composition. This attempt to get in front of social media seems incredibly odd. Firstly, it seeks to name “social media” (which, in this case, is basically synonymous with Black Twitter) as the problem in this scenario. Don’t you dare rise up and point out the fact that there are only 19 women and 10 people of color on this list, Black Twitter—in fact I’ll do it right here and beat you to the punch so you can’t blame me for anything! How odd, to villianize the same people who have forced you to, at the very least, be aware of how many people of color are consistently left off of lists like this. How odd to think that such a flippantly delivered warning will keep us from asking questions about yet another list celebrating the accomplishments of—as you yourself admit—”a lot” of white guys. Since becoming the first African-American woman ever tapped to lead a Big Four broadcast network in February, Dungey, 47, has exercised her power by slashing seven series, including surprises Nashville and Castle, and adding new ones centered on overweight housewives and talking dogs. BIG WIN: Her new gig, especially given her lack of noncreative experience. 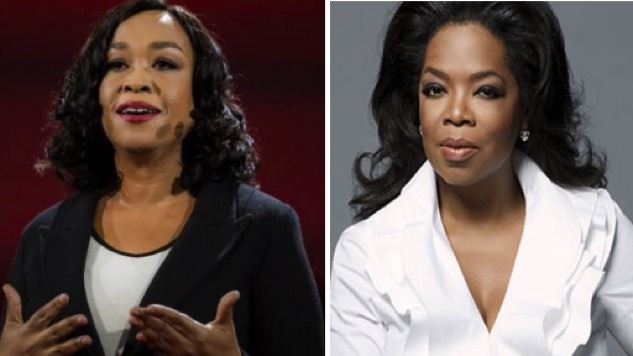 Sure, Dungey made the Top 100 list (one of only three black women to do so—she’s joined by Shonda Rhimes and Oprah Winfrey), but it doesn’t sound like THR’s especially excited about that. From what I’m reading here, it sounds like she’s spent the last few months ruining all of TV. But let’s say we can put such tone, and Min’s sly remark about social media anvils to the side. Min is saying we must look at the whole of what The Hollywood Reporter covers to understand how they work against the active and ongoing discrimination against women and blacks, and other people of color in the industry. In other coverage, just not here, she seems to say, we are trying to do our part. The thing is, this isn’t the first time THR has made such a claim, and participated in this trendy movement of checking oneself, while taking little-to-no responsibility for that which required checking. Last year Stephen Galloway made a similar attempt to get in front of social media and any other critics, by penning an article titled Why Every Actress on The Hollywood Reporter Roundtable Cover Is White. Galloway, like Min, hoped to beat all those other writers to the punch, and gain some credit for merely acknowledging the problem. So who’s responsible? The Academy drew flak for failing to nominate Selma in many categories, but the Academy doesn’t make films, any more than The Hollywood Reporter does: It recognizes work that the industry creates. On our most recent Director Roundtable, forced to choose among three superb filmmakers for one slot, I opted for Ridley Scott rather than Straight Outta Compton director F. Gary Gray, an African-American. The Martian had opened to exceptional acclaim and box office, and Scott looked like the front-runner for the Oscar. Still, I now wish I had added Gray to the mix, and regret that I ignored both his lawyer’s and his agents’ pleas to do so. At least I can take comfort in having three men of color on our upcoming Actor Roundtable. Well, which is it Hollywood Reporter? Are you powerless in this fight? Or, actually quite powerful, but busy making yourself feel better when you fail to fight for diversity in one issue, but “make up for it” in another issue? After all, you can’t be expected to consistently fight for diversity (also known as normalcy) all of the time. Asking who’s responsible for the diversity problem is like playing chicken vs. egg. For example, if more black actresses covered magazines, would they get more work (short answer: yes)? But should more black actresses cover magazines when they’re not getting enough work? Long answer: Yes, because that is one way to combat the problem of their lack of work. But to do such a thing, you’d have to assume that it’s your responsibility to change Hollywood, and to change the world. You’d have to believe that you don’t have to be a studio executive to exact change. I liked that Min’s opening explained the process of choosing the Top 100. I don’t have her job, and she succeeding in convincing me that defining “power” for an entire industry is quite a feat. She put it beautifully—they are “trying to measure something intangible: clout.” But she didn’t succeed in convincing me that her publication is aware that they are complicit in the problem. (In fact, when I read her explanation, the words of one iconic black artist immediately came to mind: “We don’t believe you, you need more people.”) The world is filled with people everywhere, insisting that it’s not their job to address certain cultural and social issues. Diversity in Hollywood isn’t their problem or fault, racism isn’t their problem or fault, Donald Trump isn’t their doing, etc. They are/we are all innocent, because they/we don’t make the rules. It’s the Pontius Pilot syndrome, and without exaggeration I can say that it does real violence to the culture, and to the people. Acknowledging that your publication has a problem (or pretending to acknowledge the problem, but then pivoting to Hollywood and social media as the real villains), is not enough. If THR wants to convince us that it’s a publication concerned with racist Hollywood practices, it’s going to need to do better than the occasional Chris Rock op ed. Its biggest issues—these power rankings and roundtables—need to stop functioning as mere “reflections” of a troubling place and time; they need to be that change they keep insisting must come first. It’s not activism, it’s innovation. And that should be a concept that we can all get behind.